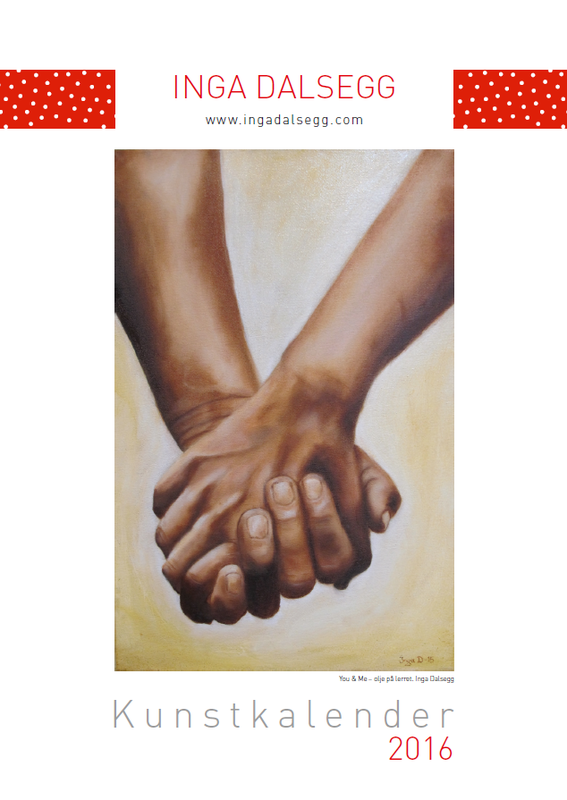 Which means it will be available here in the web shop and in the shop at my art studio very soon. 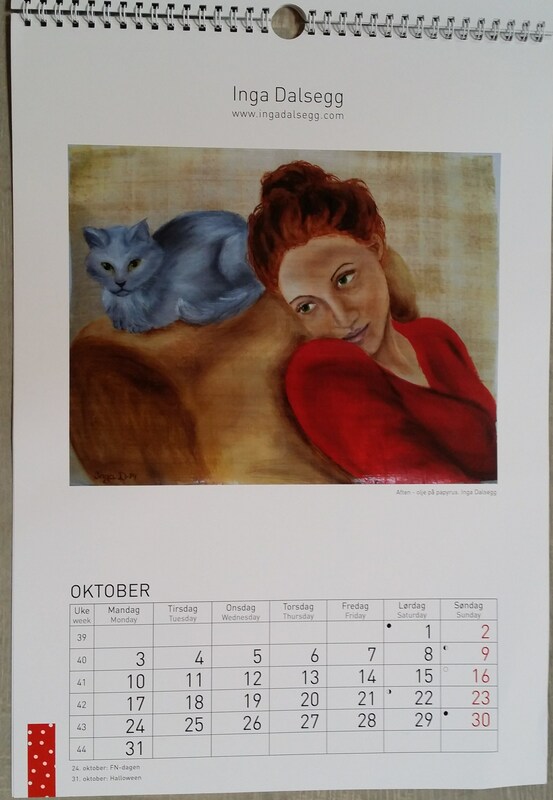 The 2016 calendar has a new and improved layout, – it is more user-friendly than my previous calendars. The calendar-part itself is larger, which means the letters and numbers are easier to read. 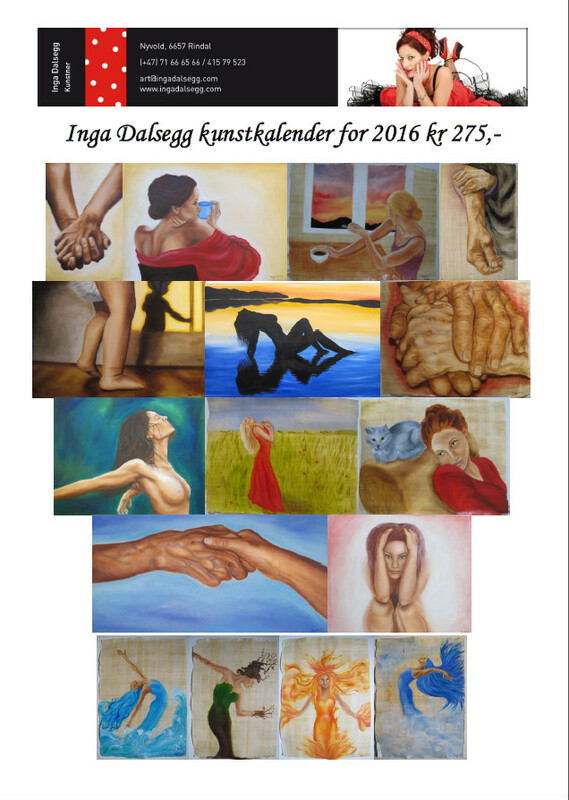 The Inga-calendar has sold very well to several countries the last couple of years, so the 2016-version also has the days in English as well as in Norwegian. I have been promised that the printers will be able to get a small bunch of calendars to me this weekend. As on saturday 4th July is the traditional Market Day in Rindal. So if you are going to the Market Day you can pop by my art studio and get your hands on a brand new calendar straight from the printers!